Sirius Satellite radio originated in Washington DC and was launched in 2001, just following the debut of XM radio in 2001. In the early years, subscribers had to choose between Sirius and XM. Most drivers seemed to prefer the trucking-related content of XM which featured hosts from America’s Trucking radio network such as bill Mack, Dave Nemo and the Truckin’ Bozo (Dale Sommers). In January 2009, Sirius and XM merged into one service, and today, all content heard on Road Dog Trucking channel 146 is a SiriusXM exclusive product. That same year, Freewheelin’s Meredith Ochs and Chris T invited Women In Trucking’s Ellen Voie to have a one hour segment devoted to the organization. Ellen and Marge Bailey, one of the original WIT board members, were on the last Wednesday of each month for the next nine years. This year, SiriusXM invited Women In Trucking to host its own call-in show, and the date was scheduled to begin Saturday, January 20th at 10 am central and would last for two hours. The first guest was Keera Brooks of Sawgrass Logistics, who had completed the WIT “Best Practices Study” about carriers with a higher than average percentage of female drivers. The calls came in from both men and women across the continent. Now, every Saturday on SiriusXM Road Dog Channel 146 (with the replay on Sunday) you can listen to Ellen interview men and women with very diverse views on subjects related to the industry. In the past, we’ve had the opportunity to interview such varied guests as Debbie Gardner with the Survive Institute, Valerie Alexander, author of “How to Succeed In the Workplace Despite Having Female Brains,” and Elba Pareja-Gallagher, founder of ShowMe50.org. We’ve interviewed Congressman Mike Gallagher, who rode with a female professional driver and shared his insights. There’s even been a show about drones with Sharron Rossmark, of the organization, Women and Drones. More recent shows have focused on research about attracting and retaining drivers, some fun information about your favorite trade shows and even a show on how to increase your fuel economy. A favorite guest was Margot Genger, who wrote a book about her driving experience in the 1970s called, “Shift Happens.” We had her back to finish telling her story. We’re always looking for entertaining guests as well, so if you would like to be on the Women In Trucking show on a Saturday morning, please let us know. If you’re listening, please call in and share your story or ask a question. The number is always the same, 888-876-2336 or 888-8ROADDOG. The guests might surprise you, and the insight should enlighten and entertain you. Watch our e-newsletter for upcoming show information, or visit our website and click on “WIT Show.” If you don’t currently subscribe to SiriusXM, you can find information on obtaining a 30-day free trial to see if you’d like to continue the service on your radio or via the app on your computer, tablet or smartphone. The show is geared toward both women and men, and the majority of our listeners are professional drivers, who call between their loads, breaks or on downtime. These drivers ask questions, offer advice and sometimes just want to share a story. They are all very engaged with the guests. This is just one more way we can share our story about the Women In Trucking Association. Our goal is to help educate, enlighten and empower you. This is just one more way we can communicate with you, our members, and get our message out to future members. We are genuinely thrilled to be a part of the SiriusXM radio “Road Dog” family. Meredith Ochs, Ellen Voie, Chris T at the Mid-America Trucking Show. The Heavy Vehicle Use Tax (HVUT) reported in IRS Tax Form 2290 by the Heavy Truckers is now Due and August 31 is the last date. Time is running off and you don’t need to wait till Aug.31 to report it, do it online today and receive IRS stamped Schedule-1 proof immediately. 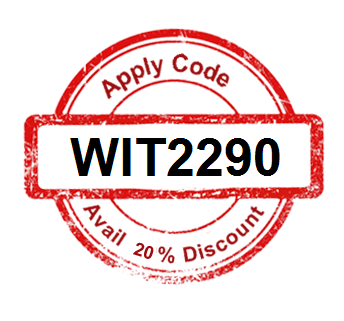 SPECIAL DISCOUNT TO WIT MEMBERS – APPLY CODE “WIT2290” AVAIL 20% FLAT OFF!